HONG KONG, Jan 9, 2019 - (ACN Newswire) - From Mainland China's continued and growing presence in toy production and consumption to caution over tariffs; from the relevance of the Belt and Road Initiative to tech toys for kids and adults; from intuitive toy ideas to Hong Kong's intellectual property (IP) role. 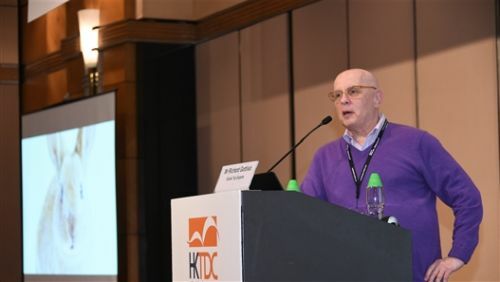 The Hong Kong Toys Industry Conference 2019 covered a plethora of the industry's pressing issues, trends and aspirations under the theme "Forging the Bright Future for the Global Toy Industry". The one-day conference yesterday (8 Jan) was co-organised by the Hong Kong Trade Development Council (HKTDC), the Federation of Hong Kong Industries, the Hong Kong Toys Council and the Toy Manufacturers' Association of Hong Kong Limited, running concurrently with the HKTDC Hong Kong Toys & Games Fair, the HKTDC Hong Kong Baby Products Fair and the Hong Kong International Stationery Fair. The first conference speaker, Richard Gottlieb, Principal and Founder, Global Toy Experts, stressed his firm belief that the toy industry is based on free trade. "The industry's ecosystem relies on designers, inventors, manufacturers - as well as public relations firms to talk up the products, and logistics and container shipping to keep the system going," Mr Gottlieb said. While most of the world's toys are made in the mainland - with southern China acting as the main "toys complex" - he said other countries have been developing toy manufacturing centres, including India, Thailand and Indonesia. Among the challenges of relocating was the requirement for longer logistical lead times in comparison with the "parent" factory in the mainland, while key registration and permit approvals were quite straightforward. Mr Tam said it took two-and-a-half years to set up the Indonesian facility, from construction to operation, and while Indonesian employees were not as quick in completing work as their mainland counterparts, the quality was good with a lower rejection rate. He also said that investment among Belt and Road countries was improving, citing investments made by Singapore in Indonesia's industrial parks as an example. Professor Doctor Wedekind explained that experiences such as climbing a rope helped to give children a sense of adventure while also promoting a child's desire to create art, including paintings and drawings. The objective of the toys and games industry was to engage children to be active, so that materials may be used in the creative process. He said that children learned, particularly in an educational environment, by playing, exploring and "being amazed" - and toy companies should be encouraged to create toys that were completely new, where children can explore materials step by step. Richard Gottlieb, Principal and Founder, Global Toy Experts, tells the audience that while most of the world's toys are made in China, other countries have been developing toy industry centres, including India, Thailand and Indonesia.